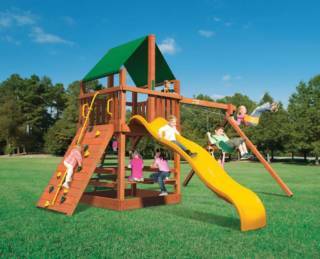 Jungle Tower Swing Set includes an 11 sq. 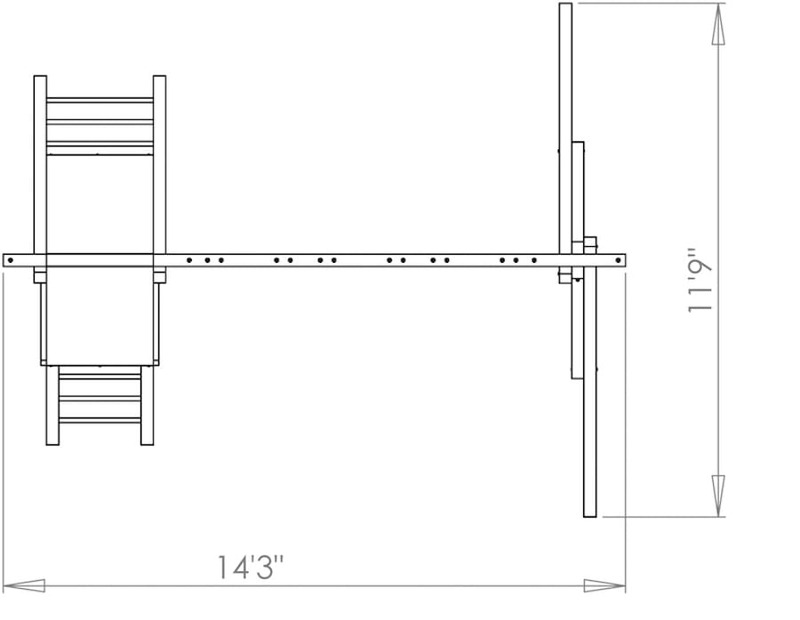 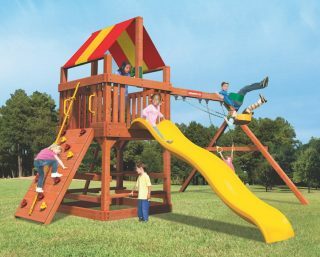 ft. fort, vinyl roof, 8′ wave slide, three-position swing beam, with two belt swings and one trapeze bar with rings. 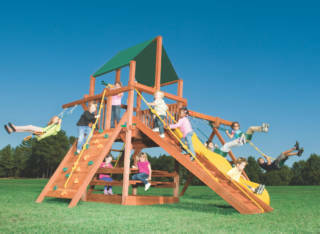 The Woodplay Playsets Jungle Tower swing set is available in ONLY Cedar Lumber. 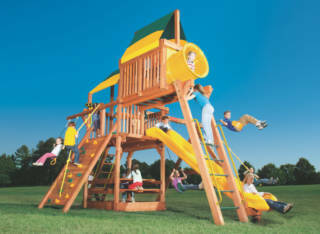 The Woodplay Playsets Jungle Tower includes a 15-Year (Lumber Only) and a 5-Year limited warranty.